This will be the 19th year of our Roses for Rotary fundraiser. Back in 2001, an idea bloomed for Paul Roy to sell roses as a club fundraiser. As we learned at Paul's honourary member celebration, Paul has more than one "Rose" in his life, and we are proud to have unique Sunrise roses, thanks to his passion. During the early days of the fundraiser, roses were initially purchased from a local greenhouse in Leamington. Rotarians would cut, watertube, wrap or box roses to be delivered. The inaugural bud of fundraising in 2001, grew $2961 for our community, with a total of $215,000 raised over the past 18 years for community projects. Projects of note that we've supported and watch grow in our community include: YMCA Build $50,000; Hospice $40,000; Children's Treatment Centre $10,000; CKHA Equipment & Furnishings $10,000. Roger confirmed on behalf of the Board at the last meeting that the proceeds from Roses for Rotary will be going towards CKHA's Oncology department, specifically focusing on Chemotherapy patients. Our challenge this year will be to sell 1100 dozen roses; 900 dozen Sunrise roses (Orange, Yellow & Red) and 200 dozen red roses. Annually we bring in on average $10,000. Roses are $25 dozen and payment is accepted by credit card, cash or cheque. We will have advertising on Blackburn News, and a radio spot on Monday, March 25th. Rotarians are encouraged to call, and text family friends, and visit local businesses. It's too bad it's too early for prom proposals. Invite the Romeo or Juliet in your life (I've already got mine lined up), or the friends are that are considered family to assist us for either the morning or the entire day to deliver roses. John Schinkel announced that South Buxton Raceway has been sold and has been renamed Southern Ontario Motor Speedway. John has been in contact with the new owners about maintaining our 50-50 draw relationship, and is proud to announce we have secured July 19th & 20th. As a part of the new ownership, American racers will be visiting as part of their racing circuit. The two days we have secured will likely be the busiest of their season! 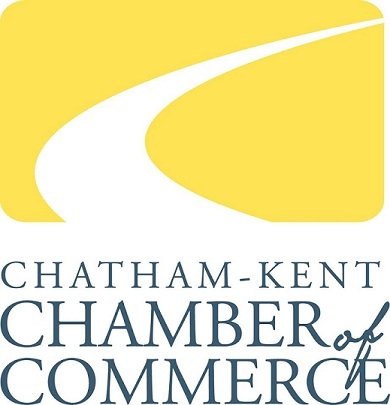 We have renewed our annual membership with the Chatham-Kent Chamber of Commerce which allows us to individually benefit from attending such events as Business After Hours for free. Be sure to mention that you're from Rotary Sunrise! Crime Stoppers had noble beginnings in Albuquerque, New Mexico with a Canadian police officer investigating the robbery and slaying of an 18 year old gas bar attendant in 1976. We in Chatham-Kent are proud to have been home to a Crime Stoppers branch since 1987. In those 31 years, over 100 million dollars in property and drug seizures have been conducted from assistance of Crime Stoppers tips. Tipsters are eligible to receive tips between $100-$1000, with tips now being collected via phone, text and e-mails. Each tipster is solely identified by a number such as A123, and any e-mails are routed through servers in El Paso, Texas, with no way for Crime Stoppers to trace their original origin. We as a Rotary club in partnership with the downtown club are proud to present Chatham-Kent Crime Stoppers with a $250 donation from each club to go towards the new Ford F150 CrimeStoppers truck. Interesting fact: Chatham-Kent Crime Stoppers' office is located in the C-K Police Station, with rent being a nominal $1/year. Dave Bakker's salary is provided by C-K Police as a gift to the organization. Linda has teaching me lots about roses this past week! I guess you can say it's great practice for Roses for Rotary.